The post Don Varner – Finally Got Over! Deep Soul from the Classic Era appeared first on Funk My Soul. Don Varner was a Southern Soul natural, who never really got his due as a performer. He was above all a proficient writer, and got his biggest break when Sam & Dave covered his “Holdin’ On“. This excellent comp brings together all of Don’s solo singles, along with a heap of previously unreleased material, all recorded between 1965 and 1974 – most of it in Muscle Shoals. 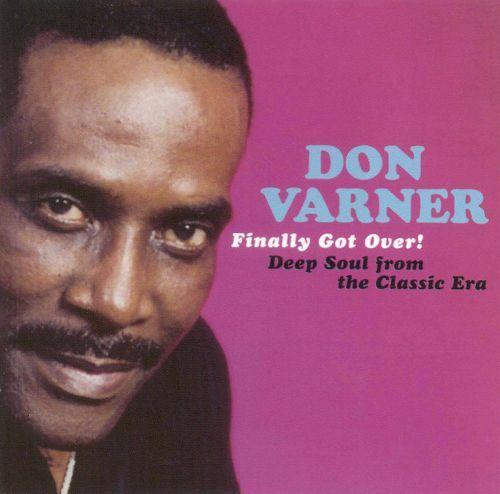 Varner’s time spent in Chicago before returning South is evident on the ethereal, big band soul ballad “Here Come My Tears Again“, which was flipped with the more upbeat, but equally uptown “I Finally Got Over“. The singles he recorded ‘back home’ in 1967 are where it’s at: the hard socking thumper “Tear Stained Face” and the rowdy, funky flip “Mojo Mama” belong to the finest Southern Soul jams available. And then there was the gritty follow-up “Down In Texas“, a loping, crunchy country soul funker, which was coupled with the far more polished fast-paced finger popper “Masquerade“. Deep soul wailing at its most gut wrenching typifies the smoldering ballad “Home for the Summer“, while the flipside, “The Sweetest Story“, is a horn-heavy, incredibly delicious mid-tempo beater. Both feature Varner’s raspy baritone at its strongest. Two more singles followed in 1969 and 1970, after which Varner took a decade-long hiatus. The sizzling soul strutter “More Power to Ya” ranks as one of Don’s greatests cuts, whereas the flip, “Handshakin‘”, sounds a bit outdated in its old-school R&B rompin’. Blaring horns and an incessant, driving beat propel the raw “I Can If You Can“. This last single found an unorthodox coupling with the slightly psyched-out rocker “That’s All Right“. The previously unreleased material is often as great as these 45s. 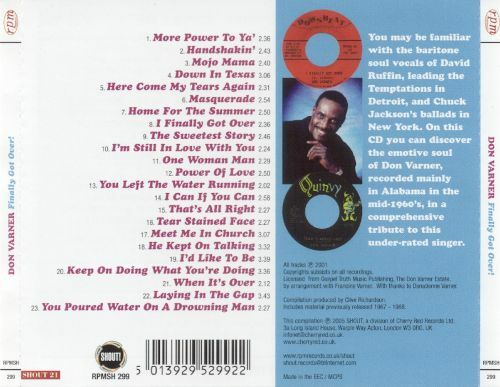 Highlights include a rousing reading of the Joe Tex classic “Meet Me in Church“, the brooding downhome country soul balladry of “He Kept on Talking” and the roaring “You Poured Water on a Drowning Man“. Some of these cuts seem to have been recorded in the smoother Philly-style, most notably “I’d Like to Be” or in the all-out groove funk aesthetic, like “Keep on Doing What You’re Doing“. These all stem form the mid-70s. 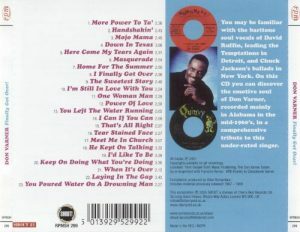 In all, a superb compilation filled with Southern Soul gems.